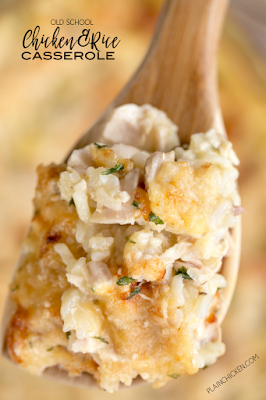 Old School Chicken and Rice Casserole - seriously THE BEST!!! Everyone cleaned their plate and went back for seconds - even our picky eaters!!! Chicken, cream of chicken, cream of mushroom, cream of celery, onion powder, garlic powder, water, milk, instant rice and parmesan cheese. This has quickly become a family favorite! We make it at least once a month. SO good!! Is the instant rice cooked or uncooked? is minute rice and instant rice the same? Great easy dish. Love the flavors. My chicken came out a little dry. Any suggestions? Any way to adapt this recipe using regular rice (we don't like the texture of instant rice)? I've only made this with instant rice. I just made this fantastic dish with regular rice. I used 4 cups of cooked rice and I then reduced the liquid(milk and water) by half. This allowed the cooked rice to still absorb some liquid, not dry out, without being all soupy. Shall, Minute Rice Brand has a Premium Long Grain version (different than the regular!) That actually has the texture of regular rice with the convenience of Minute Rice. I use it all the time. It's harder to find in stores but SOOO much better. I'm not sure that I can get cream of celery soup where I am. I don't recall seeing it. Can I use 2 cream of chicken? Could you add broccoli or some other vegetable or would that throw off the liquid amount for the rice to bake? I think broccoli would be fine. If you use frozen, make sure it is already thawed and drained. OMG, I tried this today and it is the best. I add peas & carrots and a little sour cream. Out of this world. Thank you for sharing this. It will definitely be a go to meal. OMG, this is the best. I tried it today and I added peas & carrots a little sour cream. This will definitely be a go to. Will be taking to church Saturday for Father's Day potluck. This recipe makes way to much for one person. Can you freeze the left overs? Is there a way to make and freeze before cooking or would I need to bake and then warm later? Can I use raw chicken tenderloins, regular rice and put it all in the oven to bake? Or would that not taste or cook the same? 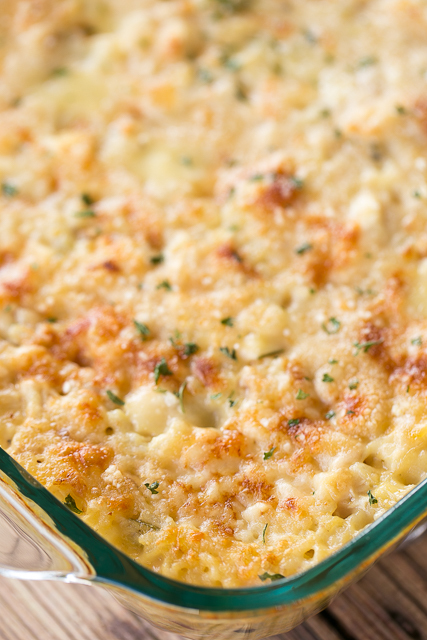 I have only made this casserole as written above. Can I do this in a crockpot? I'm sure you can. I've never tried it in the slow Cooker so I don't know how long it would need to cook. Made this today. It was incredible! I used two bags of Success rice and 1/2 & 1/2 instead of milk, cuz that's what I had. I added a can of mushrooms and a small jar of pimento. Oh, and I used a large,(very large) can of canned chicken. A perfect whipped together meal in a hurry that made the house smell fabulous! This was fantastic!! I followed the recipe exactly and it was delicious -- especially the crusty parm topping! I always use Frosted Flakes instead of the parm. It gives it a sweet and crunchy taste to it. I add it after 30 mins then cook it for another 10. My family LOVES it. What an interesting idea! I LOVE it! Going to try Frosted Flakes next time. Thanks for sharing!!! Whelp. I just realized I thought it said COOKED rice after I put it in the oven. I'm probably gonna have a watery mess, boo. Oh well I bet it will still taste good! Ill update! This turned out perfectly! Followed it perfectly as you suggested (used full fat on everything :-)) and it was a hit -creamy, flavorful goodness! Love your recipes! Keep them coming! Best! I used all healthy request soups , brown minute rice and stove top stuffing on top! EXCELLENT!!!! All soups were fat free, and I used cooked rice because we don't like the taste of instant rice, and just did 1/2 of milk and 1/2 of water. AMAZING!!!!! I have this in the oven as we speake and followed recipe to the tee. Serving with a side of roasted asparagus/zucchini. It smells great. Will report back after my food critics eat. Thank you! This is a new staple in our house. At lease twice a month. My husband just asked me why this is the first time I have made this. He said why did we have to wait so long ? I substituted brown jnstand rice and it was super tasty. Wondering if I would be able to put this all together the night before or the morning of, so we just have to put it in the oven when we get home from work? I haven’t made this and refrigerated it unbaked. I’m not sure how the rice would do soaking all day. ??? You can certainly give it a try. You could also prep everything but the rice and refrigerate it and stir in the rice when you get home and bake. How many does this typically serve? What's the best way to scale this back for 2-4 servings without leaving half cans of soup leftover? I’m not sure there is a way to do it without having leftover cans. Do I have to use rotissierre chicken? I made this yesterday and it was delicious!! Super quick and easy. Will definitely be making again!! what can I use instead of Cream of Mushroom. Family doesn't like that. Does it require "instant" rice or can I use regular jasmine rice? This recipe is specifically for instant rice. It will need to be reworked for regular rice. The liquid content and baking time won’t be the same.